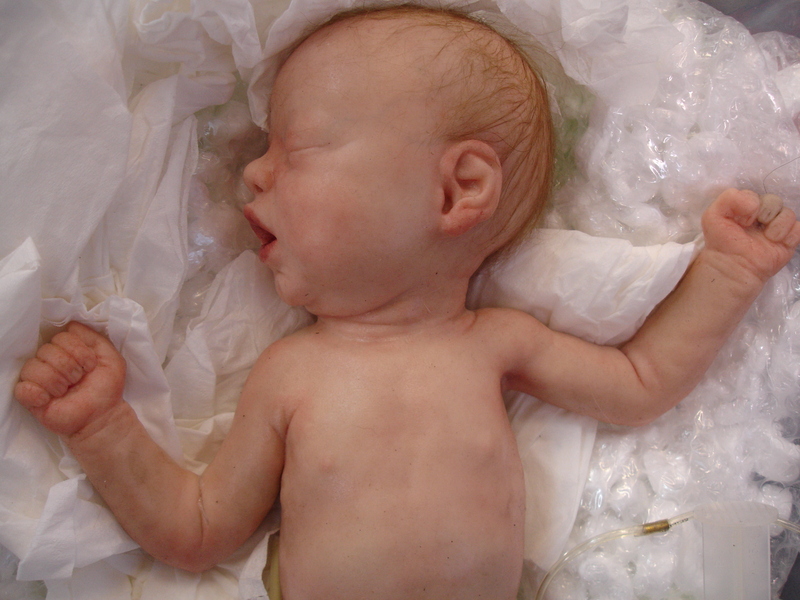 Silicone premature, newborn baby. Jointed armature, bladder controlled chest rig for rapid breathing. 42cm long.